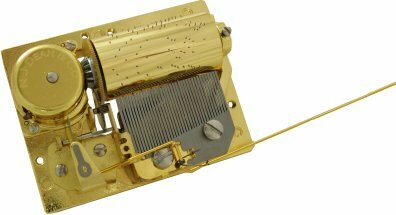 This luxury 30 or 36 note clockwork wound musical movement gives a lovely rich tone. The 1 5/8" cylinder is traditionally pinned with beautiful musical arrangements. Comes with winding key. For more information on the musical movements, please click here.